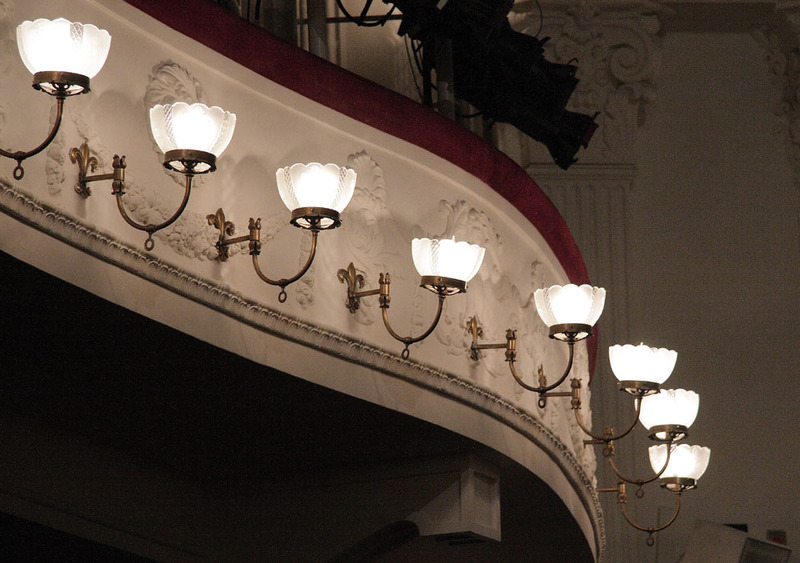 Ford’s Theater is really beautiful – the decor, the architecture, the lights. I was impressed. We definitely have different architectural and decorating styles these days! I hope your weekend is great, too! It must have been so amazing to be inside that Theater. Thanks for sharing some pictures. Great shot! We are going down the end of March, after the inaugural performance of the Baltimore Concert Opera. Can’t wait, and your DC pictures gave me ideas of things I want to see! Fantastic shot! I love Ford Theater (have they finished all the construction out in the street? ), I took so many pictures in there unfortunately that was long before my “digital” days. I guess I should crank up the old scanner but that’s just a lot of work. I agree – it’s a beautiful place, and one of the most interesting places to visit. I’m glad you enjoyed it. Nice picture. I think I have the same one in my camera. It’s a great reminder of a fun day. Very nice! You too, Carole! I love the details! Happy Friday and have a great weekend. It’s supposed to snow here, so I think I’ll be inside, crafting. One of these days I’m going to have to get myself out to the east coast and do some sightseeing. Thank you for all the lovely pictures! I love old architecture! Have a great weekend! Ford’s Theatre is really lovely – they have respected history and still moved forward. Thanks for the beautiful shot of a really neat place to visit! OK – it’s been years since I’ve been there, but I gotta ask – are the seats still just hard, straightback chairs? Having seen “My American Cousin” (or is it “Our American Cousin”?) – the show Lincoln was watching when assassinated, I know that it is a rather lengthy play and I always wondered how people could have tolerated those hard chairs through the whole thing. I saw another show when @ Ford’s which was thankfully less than 3 hours. Discomfort aside, I was awed with the history therein.